Who or what inspired you to write on these two topics? As a practicing Licensed Mental Health Counselor (LMHC) specializing in children, I saw first-hand how children struggle with understanding and expressing their feelings. When I couldn’t find the type of book I was looking for on the market, I was inspired to write them myself. 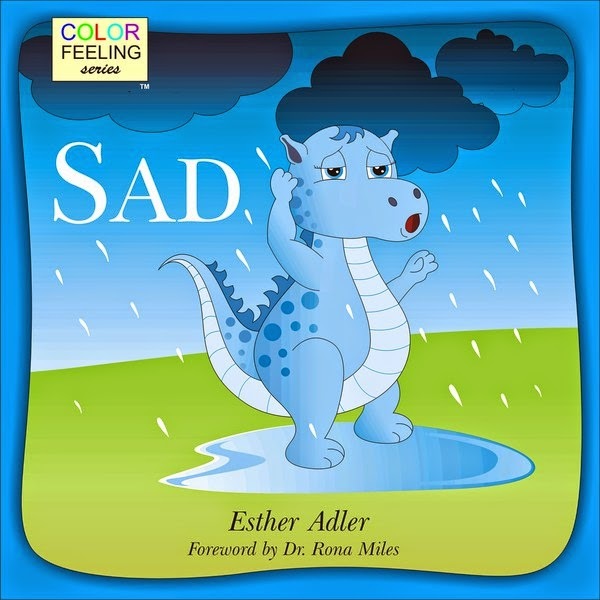 These are part of the ColorFeeling series of books. What do you mean by that?Each book in the series focuses on a different feeling. 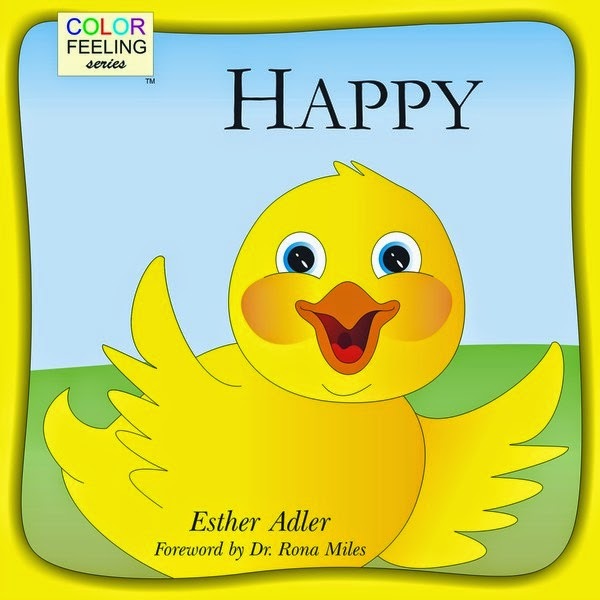 To help children relate to abstract feelings, I found that it is helpful to associate a feeling with a color. 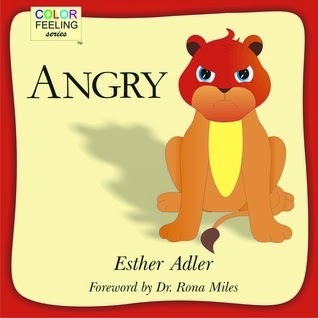 Hence, “ColorFeeling” For example: Angry is red, Sad is blue, Happy is Yellow, and Jealous is Green. Who helped you polish your story? Are you active in any writing critique groups? Prior to writing this book, what was your publishing and writing background?This is my first series. I never envisioned myself as being an author. I work full-time and I’m a full time mom to 6 wonderful children. It’s interesting how life takes us down paths that we often do not anticipate. Life is full of wonderful surprises! Who encouraged you along the way?My family and friends have been a big support. The publishing company, Bright Awareness Publications is your company. What made you decide to start your own publishing company? I had a specific vision for how I wanted my books to look (illustration wise) and traditional publishers generally control that (not the author). It can take years to publish with a traditional publisher. These days, traditional publishers provide very little marketing support for new authors. By creating my own publishing company, I can afford to spend money on marketing. Did you send your manuscripts out to other publishers or agents prior to that? No, for the reasons I stated above, it wasn’t necessary since I had already decided to start my own publishing company. What are some of the promotions that you’ve done for the book that have been the most successful?My husband has been focusing on the marketing side of the business. (I can do it a lot, but I can’t do it all J.) We have been testing the waters with various marketing channels. However, it’s too early to tell which would be the most successful. How did you go about finding an illustrator?I found one online. Her name is Shrutkirti Kaushal and she is a pleasure to work with. What did you look for in an illustrator?For the ColorFeeling series, I looked for an illustrator that was able to draw vivid, uncluttered illustrations and animals expressing a full range of emotions. Based on the feedback I received, I am confident that we did actually find the perfect illustrator for this series. Do they work strictly from your text or do you give them suggestions of how you want the story to be done? Both. I provide the text and the overall scene for illustration, but I encourage Shrutkirti to offer suggestions and to be creative. What has frustrated you the most in putting these books together? How much time it takes! People think that children books are easy to write because there is so little text, but every word has to be carefully considered to meet the desired objective. Since these books are also being used by educators and counselors in a classroom and/or therapeutic settings, I need to take that into consideration as well. Finally, illustrations take a lot of time since it’s an iterative process with a lot of back and forth between the illustrator and myself. What advice would you give someone who wants to write children’s stories?To keep it simple. In my books, I work with the illustrator to keep the illustrations as simple and vibrant as possible. I found that cluttered illustrations tend to distract children. What is the writing best advice you’ve been given?To be open to constructive criticism and alternate perspectives. How much time daily do you have for writing?I write mostly over the weekends. However, I have the books at the back of my mind all the time. Anytime I get an idea I jot it down. For Children: Expressing thoughts and feelings can be difficult. Keep in mind that when you express yourself to someone who loves and cares about you, the end result is that almost always you WILL feel better. Your loved ones want to help you. Expressing yourself shows strength! What future plans do you have for the publishing company?I am currently working on the next four books in the ColorFeeling series. I am also planning to publish additional therapy-related series. Stay tuned! Is there any other tips about writing or publishing you’d like to add?Writing books is a lot of fun, but it takes a lot of time and effort. That's all for today's interview. If you'd like to learn more about Esther and her writing, here are some options to follow-up.